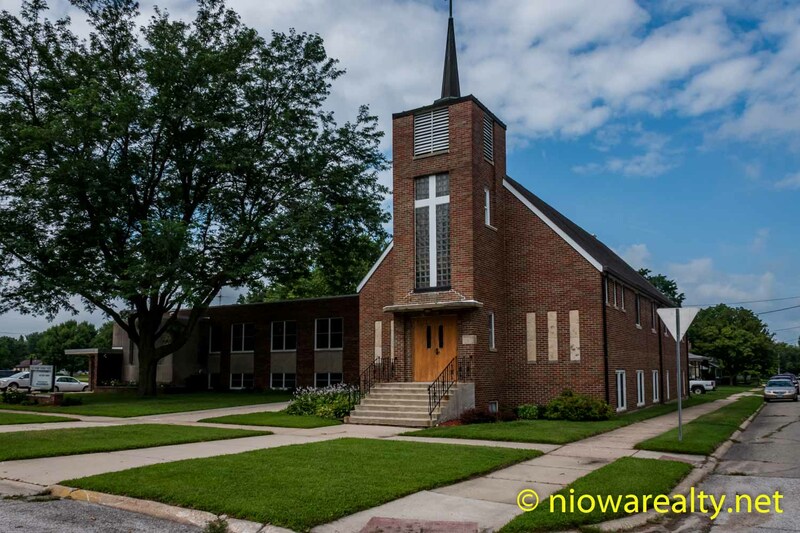 Share the post "Our Savior’s Lutheran"
The first and most important little job I had to do this morning, was to get to the office early enough so I could run thru seven hymns and Service music, so to be ready for the 9:00 am Sunday gathering at Our Savior’s Lutheran Church here in Mason City. A little over a week ago, the secretary of their congregation set me an email asking if I would be interested in playing for today’s Service since their normal music person would not be available. I was referred to they by one of the members at St. Paul Lutheran, so I felt obliged accept their request. Early last week I went out to their church, introduced myself and then asked if I could see and play the keyboard they wanted me to use. I played it a few times and then realized the seat was too low for me, so they were good enough to bring me a normal height piano bench which made it much easier for me. After running thru them enough times, I considered myself about as ready as could be for today’s Service. Having arrived about an hour early, I did manage to have time to run thru them with their pastor who has a very rich and strong voice. He seemed happy with what was being played, which settled my nerves a bit. The entire Service went smoothly, as well as the Pastor’s sermon being quite good. I was impressed by his ability to tie the gospel into his sermon which had a present day social theme. I’d likely consider myself a bit jaded when in comes to hearing sermons due to the number I’ve heard over the years from all the many different pastors. There have been those few who allowed their souls and spirits to speak which moved many, and others who were unfortunately weak. I’ve decided there are two different types of pastors. There those who are shepherds of their flocks, and the remainder being nothing more than religious administrators. To my surprise, I discovered a number of those in attendance being people whom I’ve done business with over the years. After the Service I made sure to say a few words to those I knew. I would say if anyone is looking for a down-to-earth Lutheran Church to begin attending, I’d give my thumbs up on Our Savior’s Lutheran Church here in Mason City, Iowa. With all things considered, I’d say it has a comfortable welcoming, as well an overall uplifting “feel”. Their Services are every Sunday at 9:00 am. The photos for tonight’s article are ones I took after their Service this morning. I hope you like them. Tonight’s one-liner is: The broadest of straps always seem to have been cut from someone else’s leather.